Janette has extensive commercial experience at executive and director level in both start-up and corporate organizations in the fields of biotechnology, pharmaceuticals and clinical diagnostics. Formerly a medical scientist she also has degrees in marketing, finance and has recently completed a Doctorate in Business Administration where her research focused on commercialisation strategy in start-up drug development companies. Janette has spent more than ten years living and working in Asia and has extensive commercialisation and business development experience in the life sciences sector across Asia Pacific. She previously founded and successfully sold two diagnostics companies based in Singapore and Malaysia and more recently founded and manages Synergy Pharmaceuticals Pte Ltd, a specialty pharmaceutical company based in Singapore that has a drug candidate for the treatment of Helicobacter pylori in clinical trials. Concurrently Janette consults to a small number of public and privately held pharmaceutical companies driving their strategic partnering and out-licensing activities, recently completing two strategic alliances with China-based pharmaceutical companies. Previously, as Managing Director of Pacific Pharmaceuticals Ltd (New Zealand) she led the restructuring of New Zealand's largest pharmaceutical manufacturing company, outsourcing a large proportion of the manufacturing to India. 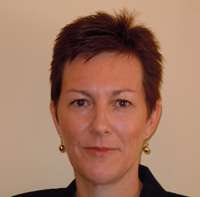 Janette has also served as a Business Manager for Chiron Diagnostics, developing and managing distributor networks for diagnostic equipment and supplies throughout Asia Pacific, and taking full sales accountability as Country Manager for Singapore and Vietnam.